We’ve recently sat down with Nintendo’s latest iteration of it’s handheld phenomenon, the New 3DS, and right off the bat we can say it’s a huge improvement over it’s now 4 year old brother the 3DS. Awkward naming aside, the New 3DS boasts several improvements over the original that increase the consoles usability, as well as some stylish quirks. monster-hunter-4In terms of size, the New 3DS is about the same as the current 3DS (and likewise for the XL too) which means it’ll fit nicely in your pocket as always. The design is nicely refined as well, with the SNES coloured buttons and additional c-stick and ZL, ZR shoulder buttons. The button scheme update brings the New 3DS’ controls in line with the Wii U’s, which could mean some form of future cross-compatibility too, which has been long overdue. The buttons are nicely placed and don’t feel uncomfortable to reach, although the c-stick does feel weird at first, but you do get used to it after using it. The c-stick does make games like Monster Hunter 4 and Smash Bros. a lot more accessible and hopefully more games will be patched to have similar compatibility, like Metal Gear Solid 3D. 3ds blur compThe 3D has been improved too and now actively scans the position of your head, so that you are always delivered with the best 3D viewing. It eliminates a lot of the blurred mess that the original 3DS put out and gives you a bit more flexibility on where you can put your head while gaming. Of course, extreme angles (over 45 degrees we found) still produce blur, so it’s unlikely you’ll be able to see what your friends are playing if they have the 3D turned on. The battery life is around the same as the original 3DS, which is a bit disappointing considering that’s only about 3-4 hours, with 6 being the maximum that Nintendo is boasting. It’s likely a cost-saving method as the New 3DS works with the old chargers as well. The New 3DS does only cost £149.99, which for a new console these days is an absolute steal. Nintendo’s aim there is to get you all to upgrade to it’s latest system. If you do upgrade, then the process is a bit clunky if you want to transfer content. Both systems require the internet during the transfer and you need to make sure that there’s enough room on the New 3DS’ microSD card as well. The process takes a few hours if you have anything more than 3GB to transfer, although it also does depend on your internet speed too. amiiboThe faceplates are a pretty nifty little feature too, allowing you to customize the look of your new system. The range is pretty decent already and Nintendo will most likely have more in the pipeline soon. Amiibo support is also carried over, but the updates for games that use Amiibo (like Smash Bros.) haven’t been released in the UK yet, so we can’t comment on their functionality (we’ll update in the future). 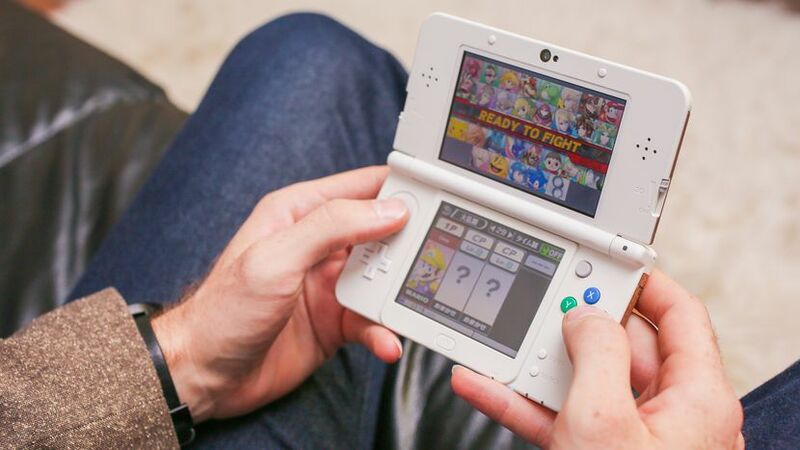 The verdict then is that the New 3DS is the console that Nintendo should have released first. The updated control scheme is welcome, as is the improved RAM and the low price point. The battery could’ve been better and is the main disappointment. Overall, if you’re looking to upgrade, then you should do so, as this system is head and shoulders over the original.